One of the most common myths about cruise holidays is that they are in some way the sole remit of the older holidaymaker. While it’s true that an ocean liner is a comfortable, convenient and accessible mode of transport for older passengers, there’s no core demographic, and cruises are enjoyed by people of all ages, from many different walks of life. Increasingly, young singles and couples are finding the fantastic benefits of taking a break from the rat race, and setting off on a voyage of discovery. 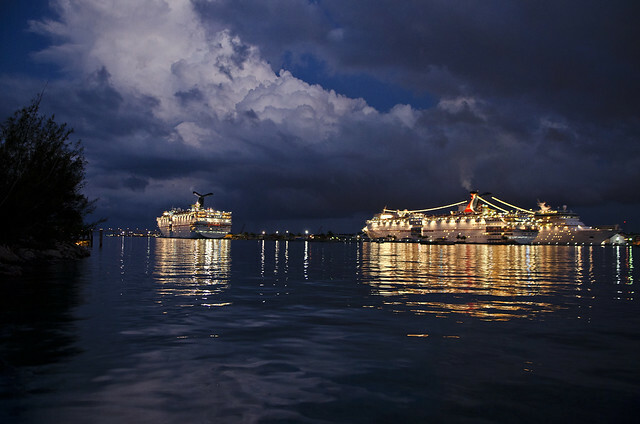 If there is a good time to plan a cruise, it’s winter. Whether it’s the cosy med, the sun-drenched Caribbean or the atmospheric fjords of Norway, destinations are so much more special when it’s grey and miserable back home. There are a few things to be aware of when booking your tickets if you happen to be a cruising newbie. Don’t rattle off your credit card number until you’ve negotiated; talk to an expert about getting the best rates, and if you’re flexible on travel dates, you might be able to wrangle an impressive discount. Make sure you budget for air fares and on-board extras, and if it is your first time on a cruise, book a cabin on one of the lower levels of the ship, where the rocking isn’t as palpable. As well as the usual holiday essentials, there are a few extra little items that are exclusive to a cruise holiday. Pack hand sanitizer to protect yourself from catching any bugs, and some anti-sickness pills to counteract motion sickness if the ship hits a rough patch. Binoculars are also critical, whether you’re skimming down the Nile or cruising between fjords, you’ll want to wildlife-spot, not to mention call out ‘Land ahoy’ at least once! While cruising is very much a collective experience, there are some activities that are better suited to two. As a honeymoon treat, book a cabin with a Romeo and Juliet balcony from which to watch the stars come out at night over a candlelit dinner. Take advantage of some of the on-board activities; whether dancing the tango or learning to speak French, there are plenty of seductive new skills to be learned. Make sure for at least one night to ditch the buffet and enjoy an a la carte meal for two in one of the ship’s restaurants, or even better, order room service, and have dinner in the privacy of your cabin. Images by Muha and VL8189, used under the Creative Commons license.